These beautiful striped shorts are one of the highlights of the Tutto Piccolo summer collection. 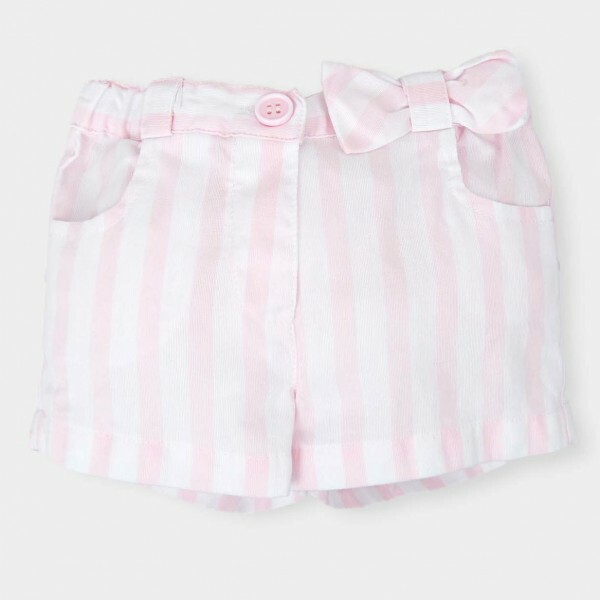 Made in smooth, lightweight cotton, with a candy pink and white stripe, with bows at the front and back and an adjustable waist, they're a delightful piece that will uplift any outfit, whatever the weather might bring. The shorts are exceptionally well designed - the candy stripes sit perfectly with the colours of the season. You can wear them casual, but they'll also style up any outfit for a special occasion. The lightweight cotton will ensure she's cool and comfortable all summer long.